Nitrocellulose lacquer is an indication of a good sounding guitar. It allows the wood to vibrate and therefore, sound better. The process takes weeks to apply, as opposed to modern polyurethane lacquers that were developed in the late 60s. Poly-based lacquers, however, compress the wood and constrict the acoustic value of some of the best tone woods. 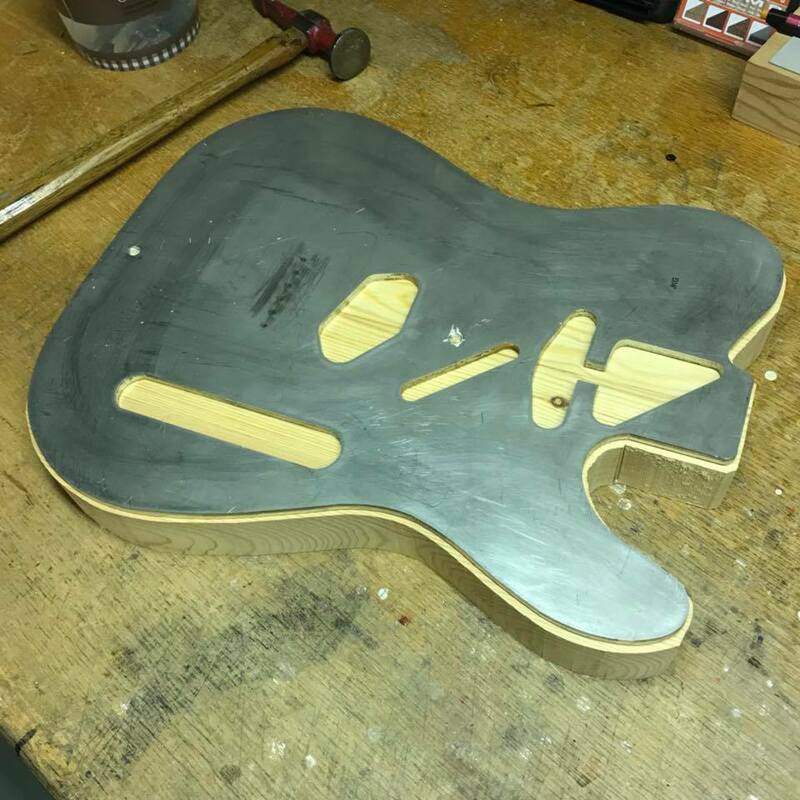 We cut the body blocks of tone wood and (when we can find it) vintage pine into rough outlines before using steel templates identical to the original pre-CBS guitars used by Fender. These are then hand contoured with a rasp, blade, file and sandpaper. Synthetic modern glues that are often used to make modern guitars have their drawbacks: they produce a vibration barrier between the wood surfaces. The guitars of the 50s and mid-60s were bound with hide glue. This natural glue that will soak into pieces of wood and as the water dries, binds them together. This allows all the wood elements of a guitar to talk to one another without any vibration loss.